Pink Ink and Polka Dots: It Was Just a Matter of Time.... Tag I'm It! It Was Just a Matter of Time.... Tag I'm It! Mechele over at Barrow's Hodgepodge has tagged me, so I am going to try to entertain you with my musings! *Post 12 fun facts about yourself on the blog post. *Answer the questions the taggers set for you in their post and then create twelve new questions for the people you tagged. *Tag 12 people and link them in your post. *Let them know you tagged them. 2. Teaching just comes naturally to me, I don't know why. I actually feel that God gives me the words to say and the right stuff just comes out of my mouth. 3. My 2 girls are my life (my husband too, but he is a big boy). I live and breathe for them every minute of every day. 4. I am a planner/calendar obsessed freak. Choosing a new one each year is harder than shopping for a new car. 5. I have to read the book before the movie or else I won't go see the movie (the reason I just read the Hunger Games trilogy over winter break). 6. I truly believe my dog understands everything I say to her and she thinks I gave birth to her. She literally has to be on top of me no matter what. She is across my feet as I type. 7. I will read anything, I mean anything. Cereal boxes have some interesting things to tell us! 8. I hate to clean, hate it with a passion. I actually stay out of certain rooms in my house, just so they never get dirty! 10. I am a shopaholic, just ask my creditors. 11. If vampires existed, I would live with the Cullens. 12. I love being a student, just as much as I love being a teacher. If money weren't an object, I would get my Doctorate. What is your go to recipe when you have a long day at work? If you weren't a teacher what profession would you like to have? What are some of your favorite graphics you use when creating your units? I love them all, but I really haven't created any units. I am still trying to move up in that world. What is your favorite city in the United States that you have visited? New York City, hands down. The theme from "Ice Castles", "Looking Through The Eyes of Love"
In my mind, I play the piano, fluently. In real life, I got nothing! Would you rather have a new handbag or a new pair of shoes? What is your favorite science/social studies unit to teach? What is something you use in your classroom on a daily basis? 1. What is your favorite book that is also a movie? 3. You have 3 wishes, what are they (you can wish for 3 more)? 4. If you had to go back to a time in your life and relive it, which time would you choose? 5. What is the one thing you have to do before you leave this Earth? 8. Eat-Pray-Love, which one would you choose and why? 11. Fine point or medium point pens? 12. Snowman or snow angel? 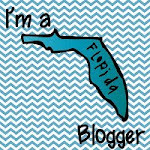 Tag You're It: (The entire blogging world has been tagged, so I am only tagging 4 blogs so I don't overwhelm anyone with having to answer 184 questions, lol).